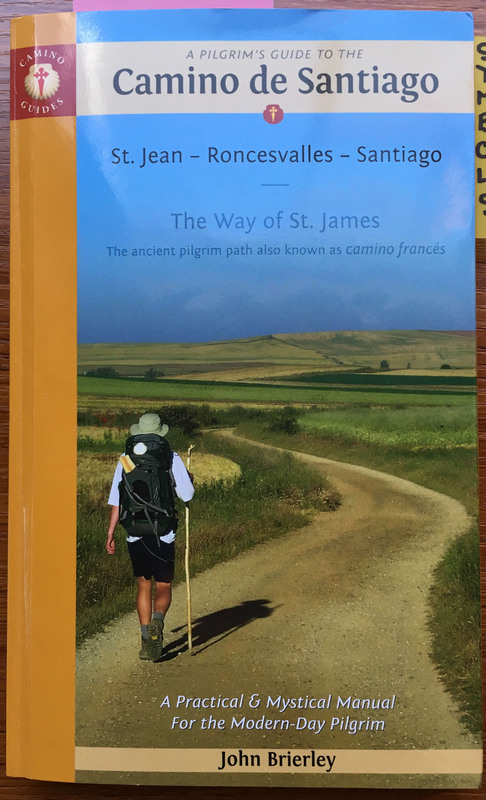 We made the official decision to walk the Camino Francés on August 1st, 2017. 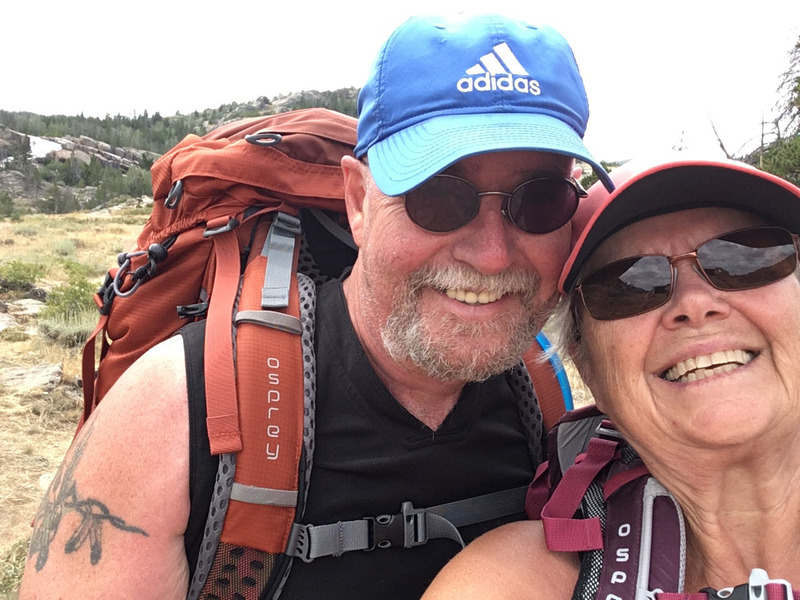 The week before that, already deep in discussion with each other about when, where, and for how long to go, we’d had a FaceTime discussion with Harold (introduced by friends), who has walked the Camino 9 times starting at the age of 71! The result of that conversation created an impulse to jump right in and to buy our airline tickets. We were so enthused and excited. Michael and I tend to jump into things fairly quickly so this time we promised each other we’d wait for a week to see if we still felt as enthusiastic and certain about taking this giant leap of faith…..faith in our joint emotional and physical stamina! 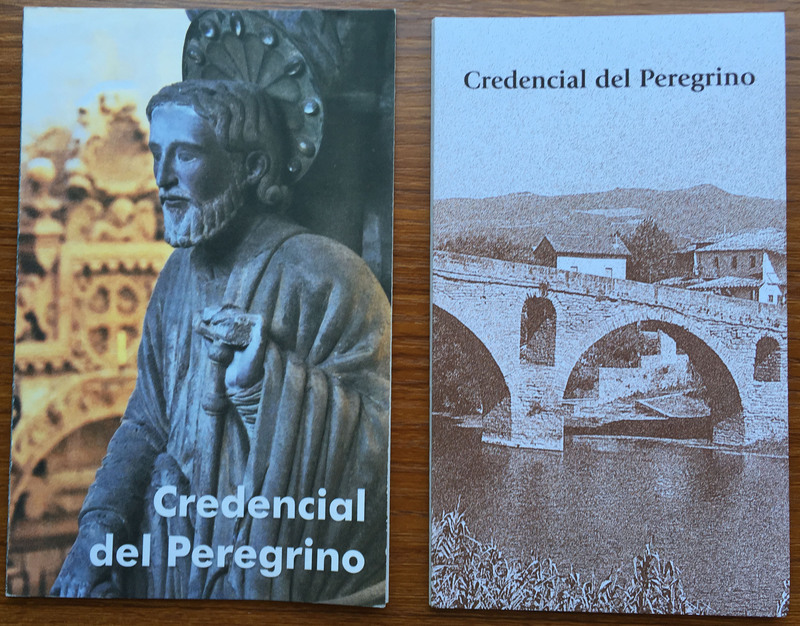 While we waited, we started physical training, planned what to bring, ordered our “Credencials de Peregrino” (from http://www.americanpilgrims.org), and ordered a great resource recommended by Harold, “A Guidebook to the Camino de Santiago,” by John Brierly. Brierly’s Book – highly recommended! Two separate credencial’s. The one on the left is the one we used in Switzerland. The one on the right is the one we’ll take to Spain. We still hope to complete the Swiss Camino. The credential folds out accordion style. As you walk the Camino, you get stamps at the chapels, churches, and pilgrim hostels where you visit/stay at. 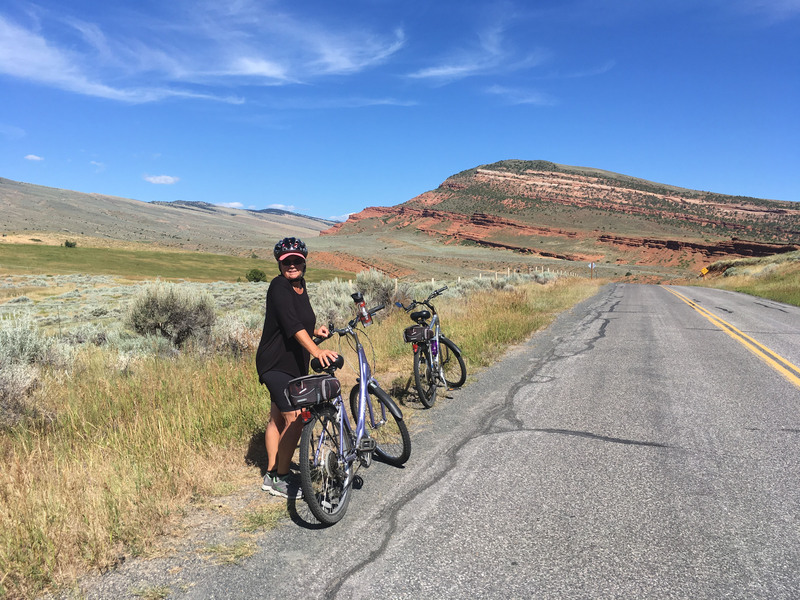 We started to train quite seriously; spending as much time on our feet as they would allow….shorter distances at first, slowly increasing over time and interspersing the walks with the odd aerobically challenging cycle. From this point on, every walk would be in the boots/trail shoes we would wear on the Camino and would include daypacks and filled-to-the-top camelbacks. On the first 2 days we were content with a 7.5 km and a 6 km walk (both on paved, level surfaces). After that, we started increasing the distance, terrain, and elevation gains of our walks/hikes. I soon discovered that the boots I was using, wouldn’t cut it; my toes were constantly in pain from hitting the ends of my boots. Not only were the boots a bit too short, but my feet had grown accustomed (over the past 14 years of living in hot climates) to being in sandals and flip flops. Solution? New boots. I bought some Salomon trail shoes in a half-size larger than I would normally wear. At the same time, I purchased some super thin and silky liner socks and some merino wool over-socks. My feet love their new abodes and are now allowing me hikes of 24km!! 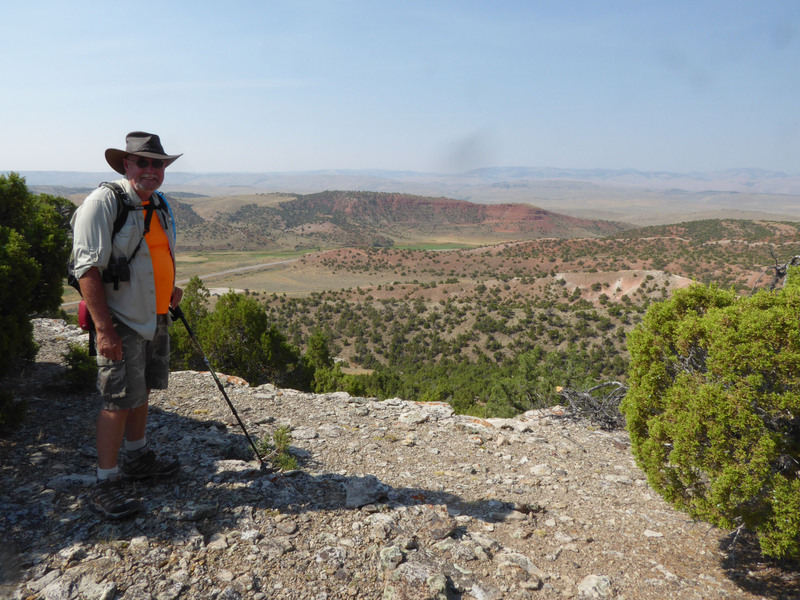 Lander, Wyoming is the perfect place to train for the Camino. 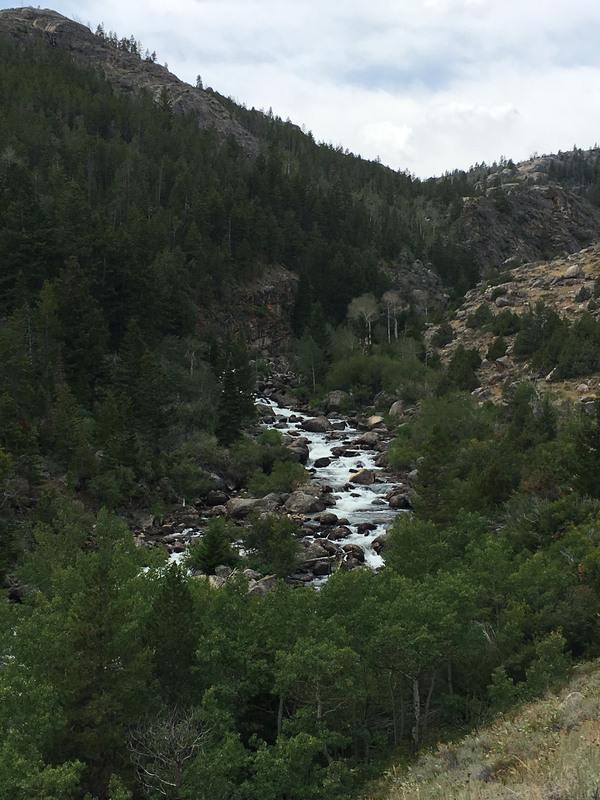 Not only is it extraordinarily beautiful with a moderate climate, it has an abundance of hiking and biking trails all at ELEVATION….which is excellent….if I can hike steep uphills for 10 km at 7 – 9,000 feet, then I should find it a walk in the park at the lower elevations of the Pyrenees in Spain. 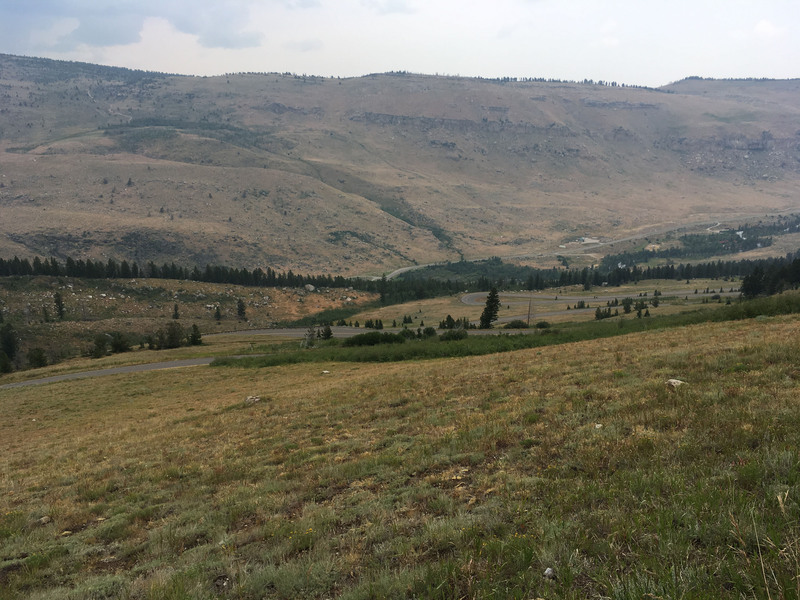 One of our favorite places to hike is a park developed for mountain bikers, hikers, and horseback riders called “Johnny Behind the Rock.” We also love Sinks Canyon. Here are a few pics. 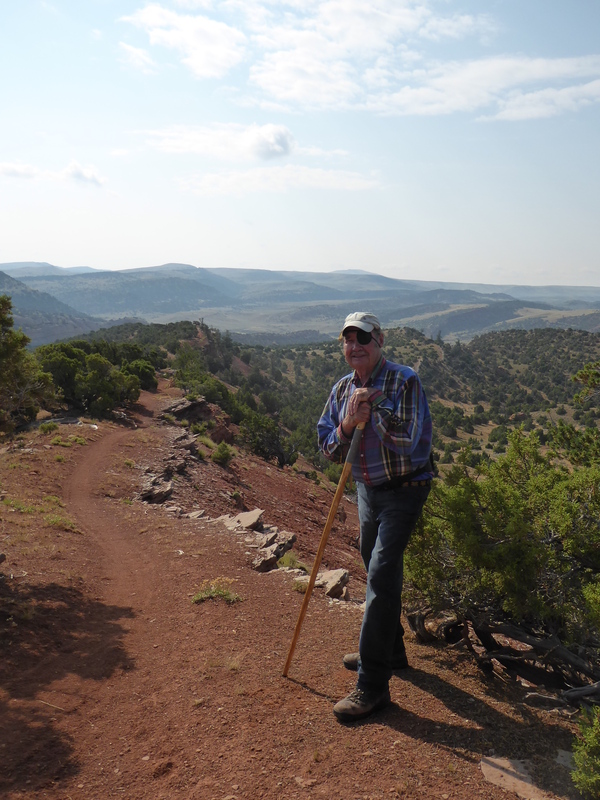 JBTR Hike with Mike’s Dad Marvin who’s 88 this year!! 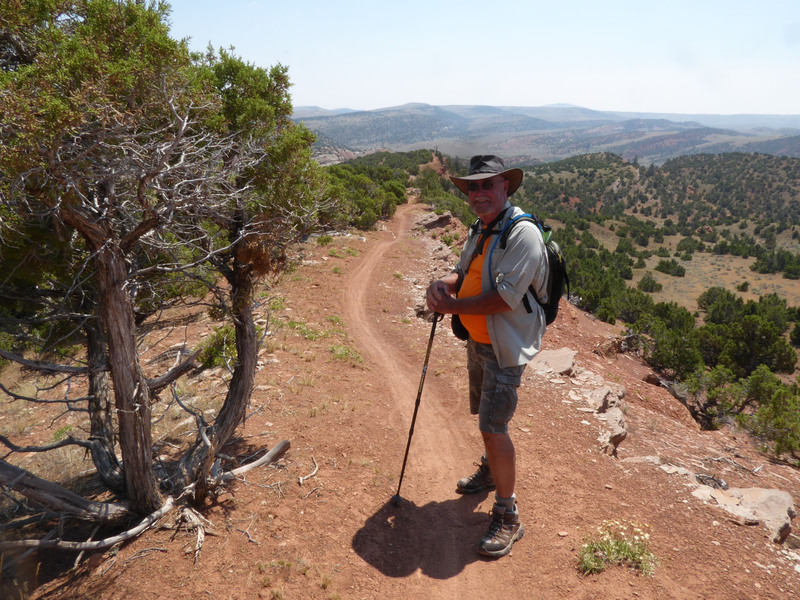 JBTR Red Ridge – a favorite trail of ours now! 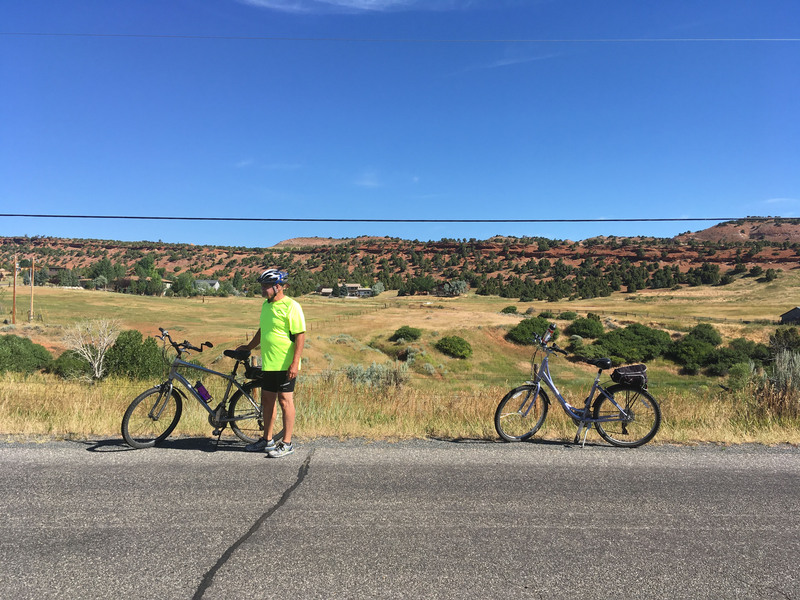 Squaw/Baldwin Creek cycle – 25 km. Hike up Sinks Canyon from the state campground all the way up to Fossil Rock. !0 km up and another 10 km down. If you enlarge the pic you will see the road as it hairpins up the mountain. Another hike up Sinks Canyon from the state park but this time to Bruce’s Campground up to the falls, a total distance of 14 km. Taking a rest break looking out over the Popo Agie River (pronounced Poposhia). At the top. You can see the falls top left of the pic but doesn’t do them justice. This was our first hike with loaded backpacks. 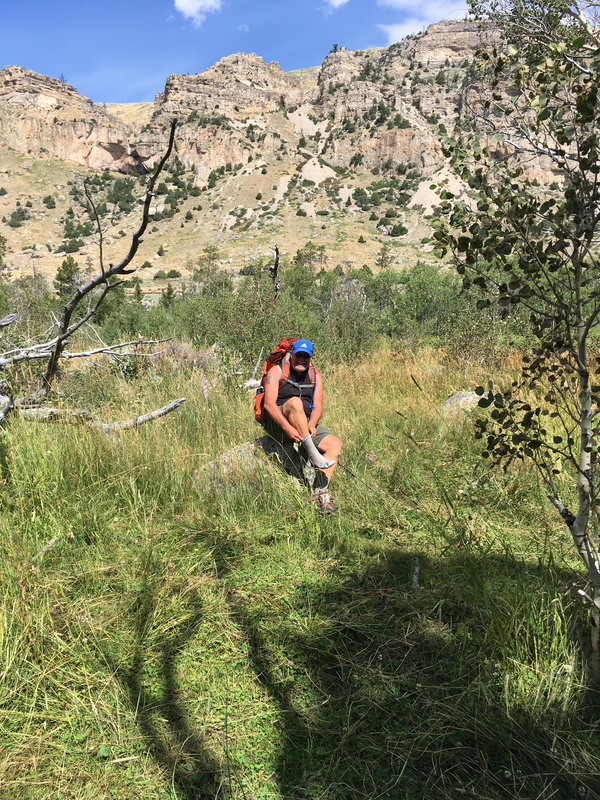 Today, we hiked 11 km at “Johnny Behind the Rock” with fully loaded packs. I carried 21 lbs and Mike carried 25 lbs. Lots of ups and downs and we hiked without stopping. Took us three hours. We are pretty pleased with ourselves and oh-so-happy we started training when we did. 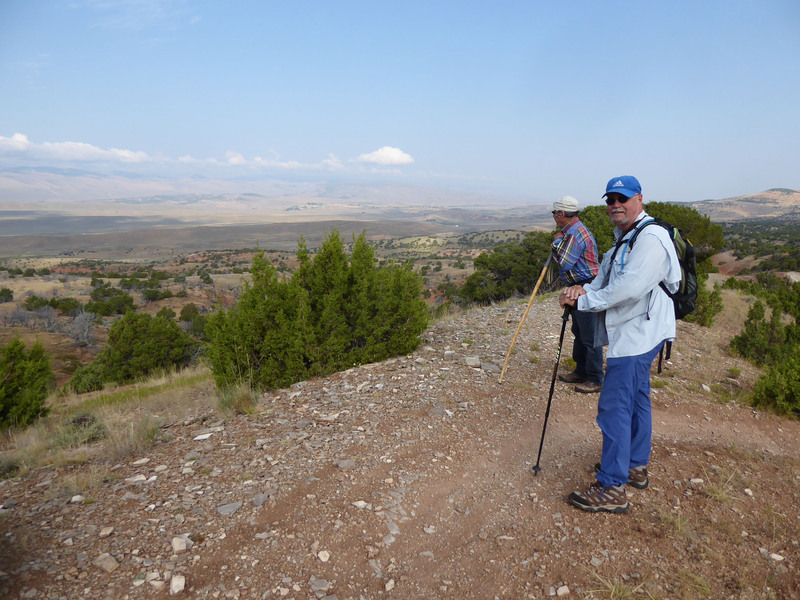 Soon we’ll be in Laramie, hiking in the Snowy Range which is at even higher elevations. 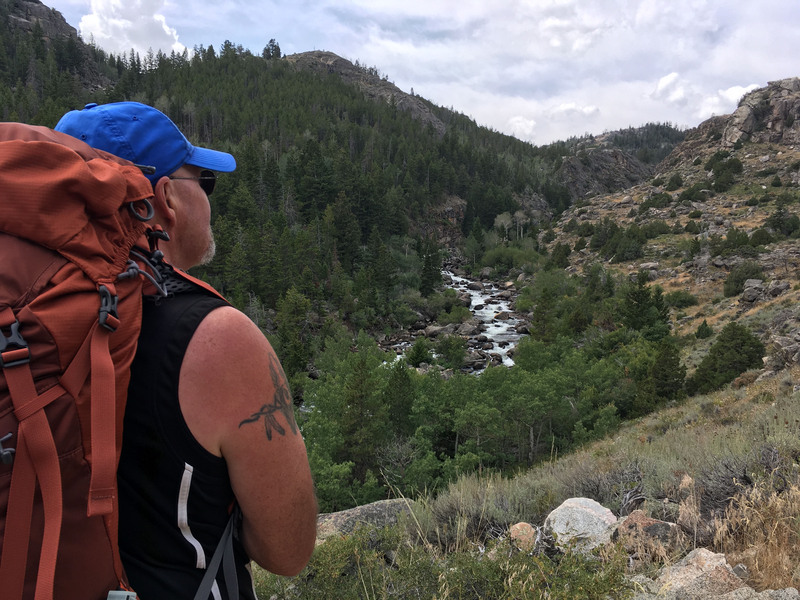 This entry was posted in Active Adventure, Camino, Hiking, Travel, Wyoming and tagged adventure, Camino, Exercise, hiking, Johnny Behind the Rocks, pilgrimage, Sinks Canyon, Training, travel, Wyoming. Bookmark the permalink. Good luck friends! Have a great time and will keep in touch via this blog.